There are many ways you can support or be involved with what we are doing at ACCESS. We are grateful for the churches, individuals, organizations, and other supporters who have already helped ACCESS in some of these ways to serve the community. You can help to spread the word about ACCESS, especially referring people who may need help or can benefit from our services, whether it is counseling or our seminars and workshops. Referrals and encouraging people to seek help when needed is not only about spreading the word for us, but it can also be about helping to break through the stereotypes and stigma of counseling that is so prevalent. Many Asians think that psychotherapy is only for “crazy people” or that it is a shameful thing to go to counseling. You can help us with this major obstacle by talking to people about counseling as a helpful and valuable experience and investment in their well-being. 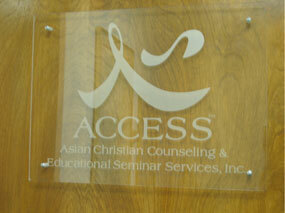 Asian Christian Counseling & Educational Seminar Services, Inc. (ACCESS) is a 501(c)3 charitable organization. 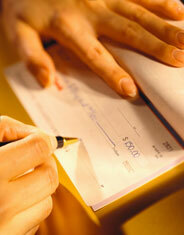 Donations to ACCESS are tax-deductible. Your contribution in any amount will help us continue to provide affordable and needed services to the community. Thank you for your consideration. If you would like to give regularly, we welcome you to become an ACCESS Partner by committing to give on a monthly, quarterly, or annual basis. Please call us for more information on joining our ACCESS Partner’s Program. For those who cannot afford even our sliding scale or minimum fee, we have a special fund called the Barnabas Fund to help subsidize the cost of therapy. The Barnabas Fund is used to assist those with financial needs, such as single parents, those who are unemployed, and students living on limited incomes. If you would like to contribute to this special fund, you may designate your gift specifically to the Barnabas Fund. Donations can be given online through PayPal with either your PayPal account or your credit card. Click the donate button below to proceed. You can support ACCESS when you shop on Amazon! When you shop at AmazonSmile, 0.5% of your eligible purchases can be donated to ACCESS—with no additional cost to you! AmazonSmile (smile.amazon.com) is a website operated by Amazon that allows customers to shop the same wide selection of products, discounted prices, and convenient shopping features as on Amazon.com, but with the added benefit of AmazonSmile Foundation donating 0.5% of the price of eligible purchases to the charitable organization of your choice. There are millions of products on AmazonSmile eligible for donations, clearly marked “Eligible for AmazonSmile donation” on their product detail pages. There is no cost to ACCESS to participate, and AmazonSmile does not deduct any administrative fees from the donation amount. By donating your time and talents, you can help us to better serve the community. For a list of volunteer opportunities, please see our Volunteer Opportunities Form. You may mail, email, or fax in Volunteer Opportunities Forms to us or call us for more information. Perhaps the most important way to help and be involved is through prayer. We believe that prayer is essential in this ministry and service. In addition to praying together as Board Members and Staff, we have also been raising up prayer volunteers from the various churches for the counseling center. If you are interested in praying for us, please call or email us with your email address and/or mailing address, and we will send you a copy of our prayer requests. Copyright (c) 2004-2015 asianchristiancounseling.org. All rights reserved.